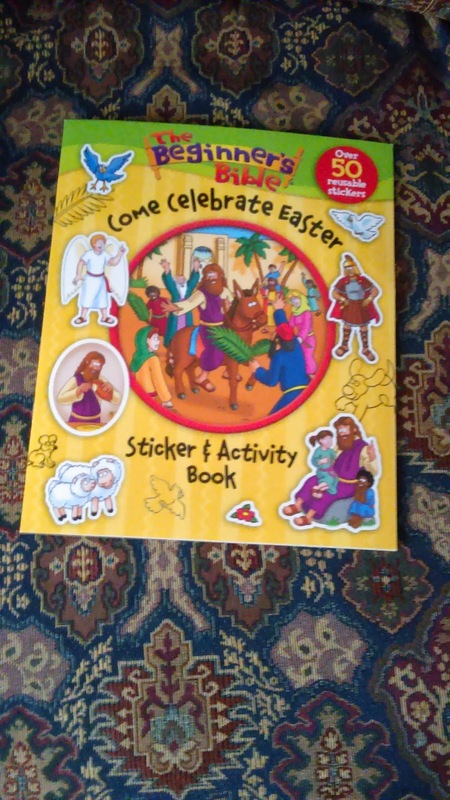 A sticker and activity book for Easter featuring the classic art from The Beginner’s Bible! 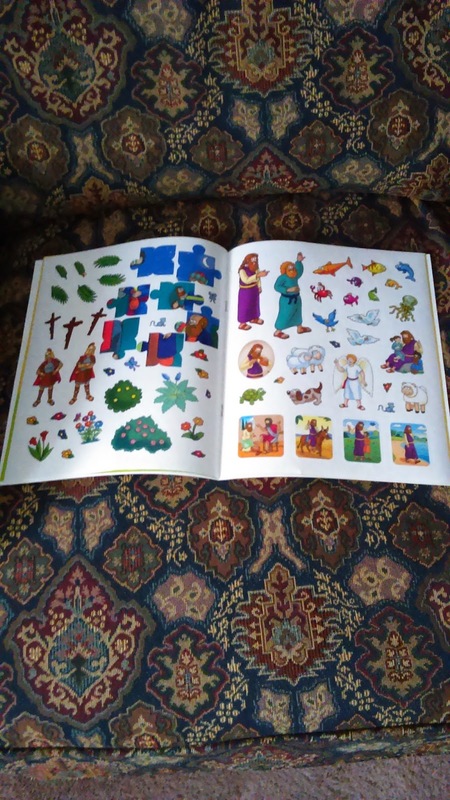 The Easter story comes to life through age-appropriate puzzles, activity pages, and stickers in this friendly and fun The Beginner's Bible Come Celebrate Easter Sticker and Activity Book-featuring classic art and simply written content from The Beginner's Bible. Priced for impulse purchases making this a great addition to the Easter basket. My son has a decent collection of activity books but this one is a bit different. 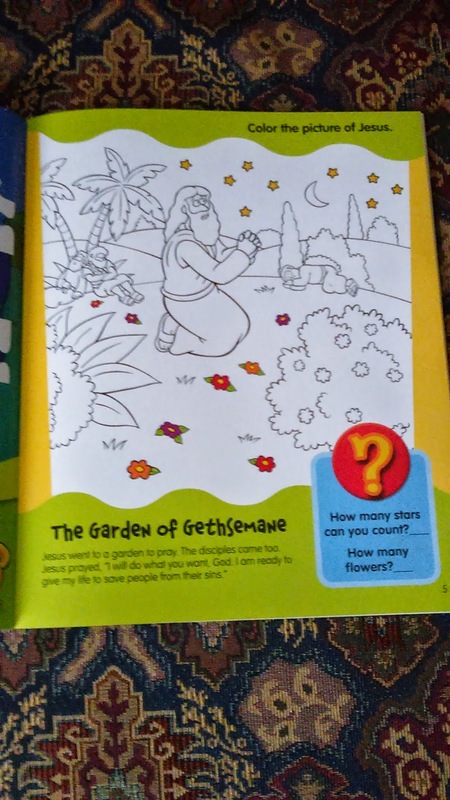 It is from the Beginner's Bible series and is about the story of Easter and Jesus. There is a short story line in this book. It is a very thin book, so there are not that many pages. This is good for younger children, as not many younger children can get through a long book without getting bored. This book has interactive pages where kids can answer questions relating to the story or about parts of the bible. It also has a few little activities such as mazes, counting, coloring, and more. My son enjoyed doing the activities and read every page. He is age 6, by the way, and this book held his attention. His favorite thing about this little book were the sticker pages. He loves stickers. They can be placed on various pages throughout the book and there are also a few extras that can be used however your child chooses to. I think that this book is mostly age appropriate for children under the age of 8. There are a few things in the book that may not be too easy for a kid under the age of 5 but they will probably still enjoy the activities.